The race will start and finish at WEST VILLAGE LODGE. For 2018 the Flagline 50k is part of Under Armor Mountain Running Series. In addition to the 50k there will be a 5k, 10k, and a circumnavigation of Mt Bachelor itself. So no matter what your into there is something for everyone. 50k Course is a great mix of singletrack and dirt roads located in the high country here in Central Oregon. 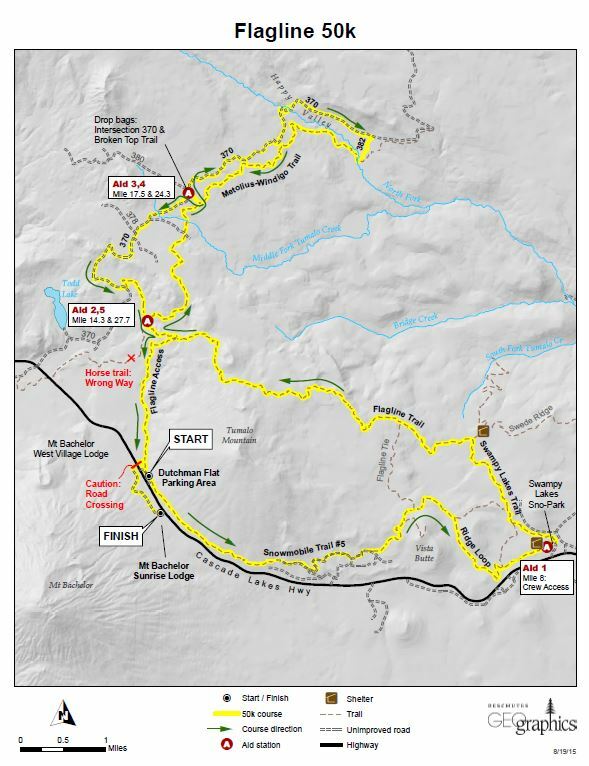 The course will have about 4000 feet of climbing and promises to impress and challenge all who participate. Aid stations will have water, electrolyte drink and gels. In addition there will be a variety of ultra favorites as well.